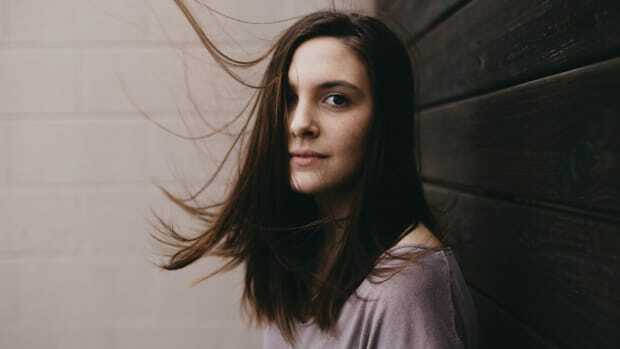 For a bride, getting your hair done by a professional may seem like standard operating procedure, but an early morning trip to the salon can be a drag—you never know if it&apos;ll be exactly how you want it, and it&apos;s expensive. If you&apos;re thinking to skip the salon and take a more DIY approach, social media has a plethora of inspiration. These tutorials are attainable for the hairstyling newb, and because it&apos;s you (or a trusted friend) doing your hair, you can try the look over and over again, so you can nail it the morning of your wedding. 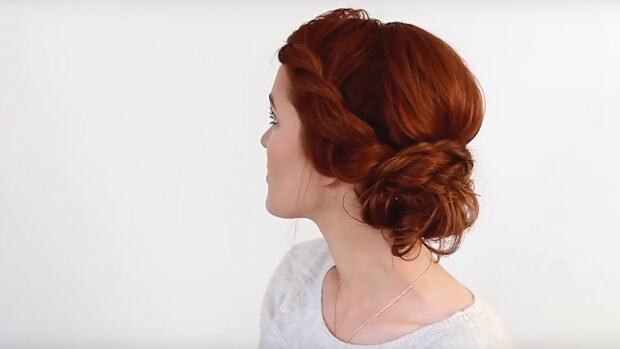 Take control of your bridal hairstyle, and try out a few of these tutorials. You might even find some looks for your wedding week and honeymoon. If you&apos;re classic to the core and love to evoke retro femininity, consider doing this parted low bun by Kayley Melissa. A voluminous side part will flatter your beautiful face and give you an air of Hollywood elegance. Wearing a flowing sheath dress? Have a wild flower bouquet? Are your guests drinking out of mason jars? Sounds like you&apos;re a bohemian bride. Complement your carefree bridal style with equally easy-going hair. This Heidi-worthy braided crown is super simple—perfect for your laid-back wedding. If your wedding theme and bridal ensemble has a fun vintage look, channel your inner Pink Lady with a rockabilly hairdo by The Freckled Fox! 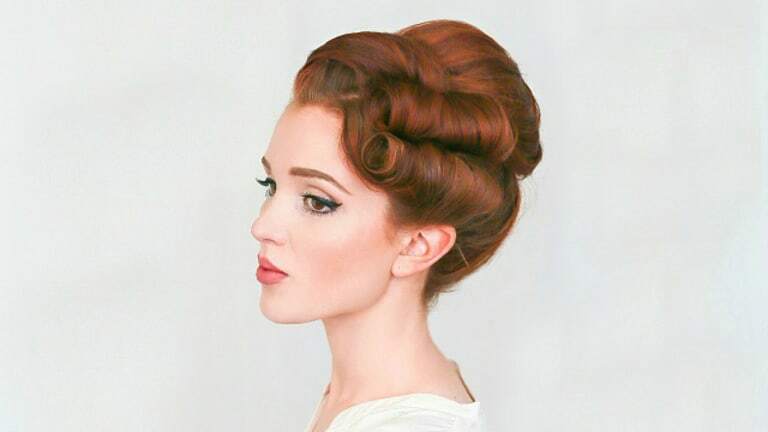 Don&apos;t be afraid of bold victory rolls—this look is daring but oh so unique. If you&apos;re itching to take a risk and go boldly high fashion for your wedding, try a double braided crown or braided faux hawk! 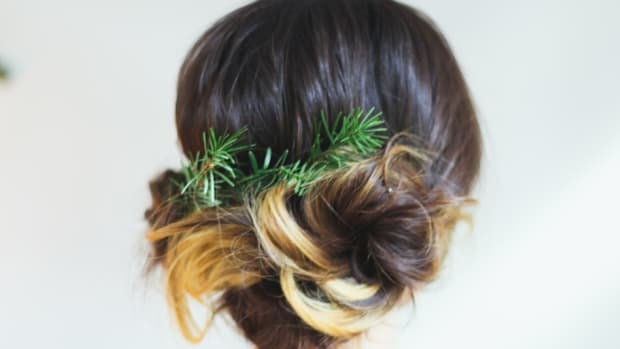 Your wedding will be one of the most-photographed days in your life, so why not go all out with you hair style? And yes, you can totally pull it off. Have a head full of curly hair that can&apos;t be tamed? Rock your natural curls with an easy braided look by Hair Romance that will have your guests marveling at your hair styling skills! When you can&apos;t decide to go up or down, choose a look that has the best of both worlds! A half up hair style is feminine and always flattering, so you can&apos;t lose when copying this look by Missy Sue. The subtle bump and intricate wrapping gives this half-up do the appeal of upscale glamour that is clearly wedding appropriate. 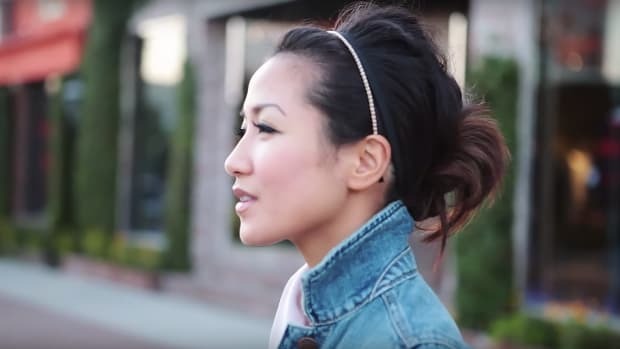 It&apos;s not easy to make a sideswept twisted low bun look both casual and elegant, but Jeneeva Love does just this. Creating a red carpet worthy look that is effortless in all the right ways may be easier than you think! If regal is the name of the game at your wedding, consider letting out your inner 1920s flapper girl with subtle finger curls. This look is perfect for those glamorous dames rockin&apos; short hair. 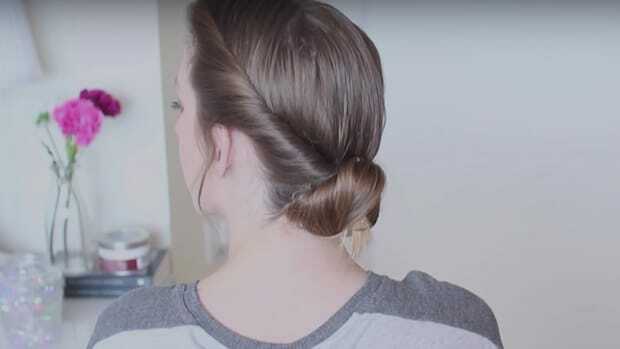 We cannot believe how easy this twisted bun is. All you need are bobby pins and two hands for twisting! This look is ideal for the bride with little hair styling experience. See, a sophisticated updo is possible! If you want to try out a downdo but have a more formal theme to your wedding, consider trying this polished downdo by Kayley Melissa. 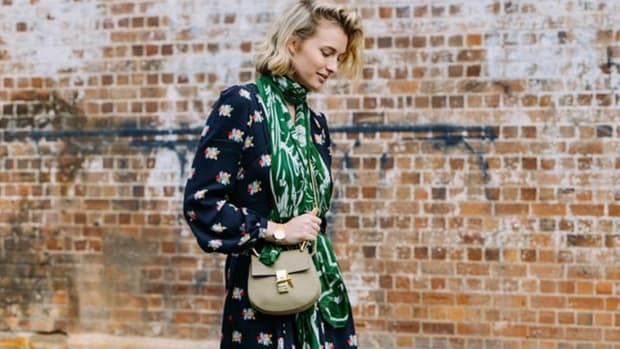 This look is casual and laid back while still maintaining a ladylike appeal that is perfect for a more classic or formal wedding.